Graphik Line Painters are a fine line paint pen that gives immense depth of colour, even on dark backgrounds. 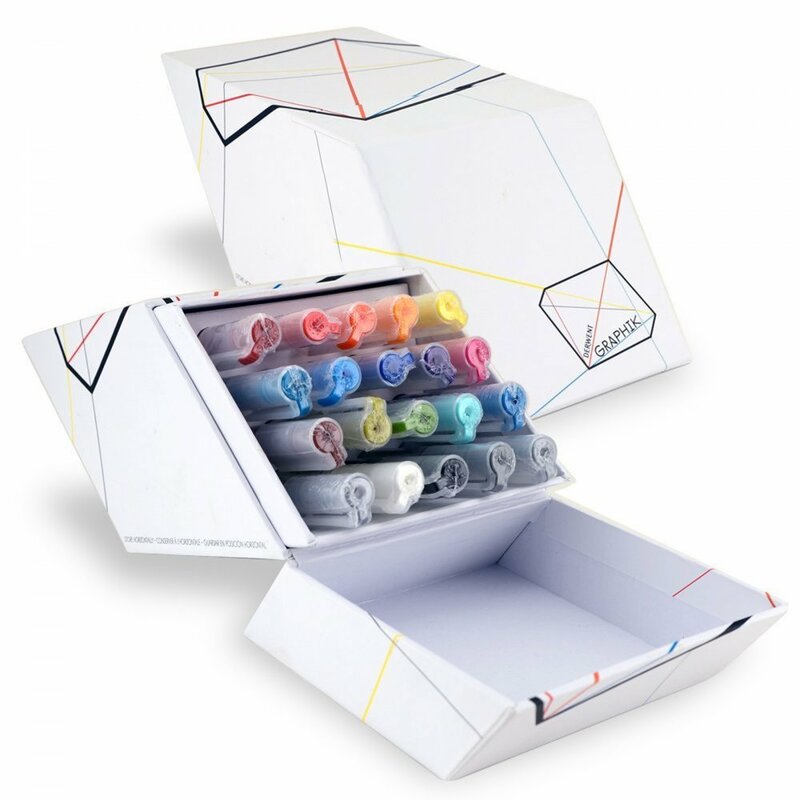 Create layers, dribbles and washes with the opaque water based ink in 20 strong colours. The 0.5 Japan nib is robust and delivers a fluid paint line. Warning: the ink is permanent once dry. Showing 3 of our total 4 reviews, with an average rating of 5 stars. Read all 4 reviews for Derwent Graphik Line Painter Pen Set of 20. Like most new products, these pens take some short time practising. But upon doing so, you'll achieve the required effects and begin to realise their true potential. Excellent product from the Derwent range. The pens are of a good quality and worth buying. Especially if you prefer to use mixed media or ink drawings. The cardboard case is handy as it gives access to all the pens.